Erica Lewis is from the YWCA of Australia. She shares her thoughts on the first day of the International Women’s Summit. I heard many interesting and inspirational things yesterday – and if you’re interested in a list then try #iws or #wc11 on twitter – but two have stuck with me through the day. 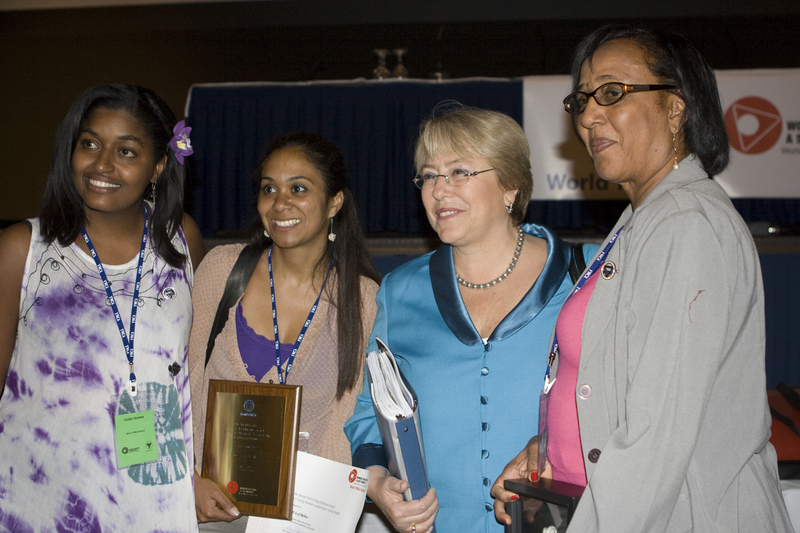 At her press conference Michelle Bachelet said that empowering women wasn’t just the right thing to do it was the smart thing to do, and earlier in the day she had described the growing and overwhelming evidence that investing in women and girls is the best way to address a whole range of social and economic ills. So, the obvious question is – why aren’t governments investing more in women and girls? women fully enjoy their human rights in order to strengthen all of our communities.